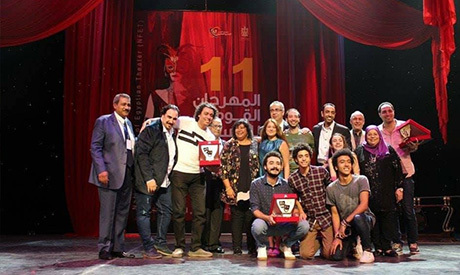 Egypt’s National Theatre Festival closed on 3 August after a two-week run with an award ceremony at the Cairo Opera House to honour the best entries. The first prize, worth EGP 35,000, was won by a play called Snow White, which scored a clutch of awards, including best director and best actress. The play Drama El-Shahateen also did well, scooping second best play and best rising director. “Through theatre we can shape humanity and its cultural and artistic conscience, and all of the organisations that took part in the festival are working to achieve that,” said festival director Ismail Mokhtar during the ceremony. Hassan Attia, the festival’s president, noted how the festival has grown.